The fall of Lehman brother is a good case to reexamine what is the best leadership for modern society. 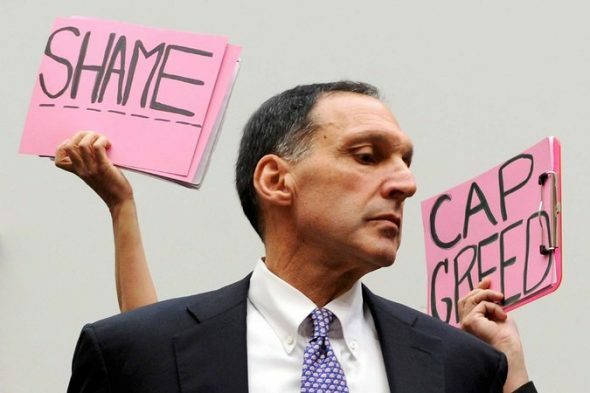 As the CEO of Lehman brother, Richard Fuld is undoubtedly responsible for its collapse. According to Andrew Sorkin, Fuld is self-centred charismatic leader, who undermined his leadership by growing self-conceit and arrogance. Having served as CEO from 1994, Richard Fuld used to be the longest-tenured CEO on Wall Street. Prior to 2008 financial crisis, he had steered Lehman pass through many challenging situations. However, previous success makes him falsely assumed that the government would intervene and prevent any bad consequence, because they cannot afford the downside effects of the bankruptcy of big investment banks. Also, his assertiveness has driven him far away from the team that is supposed to be the foundation of his leadership. The failure of Richard Fuld’s bad leadership has three defining features. The first one is his disastrous judgment of stepping into mortgage market. In contrary, his rival, Goldman Sach’s Lloyd Blankfein always holds cautious attitude towards high-leveraged investment, which find prevent Goldman from suffering the hits that Lehman were taking. Second, as his arrogant ego continuously grew, driven by his strong charismatic leadership, he not only refused to listen to any outside input but also didn’t admit any mistake. His fatal conceit finally turn him into hopeless desperate. He lost the last chance to save Lehman brother and himself. His wrong intervention totally ruined the potential merger deal with Korea Development Bank. Euoo-Sung Min dislikes the assertive way that Fuld treat his buyer. Third, his bad leadership also reflects on putting the wrong person on important position. The worse example is COO, Joseph Gregory, who pushed Lehman employees to the brink by chasing new goals that ultimately doomed the firm. Nobody in Lehman Brother likes Gregory except Fuld. Consequently, this wrong appointment cast huge negative impact on team. Richard Fuld’s case fully displays the negative side of Charismatic leadership. In contrary, both his rival Lloyd Blankfein and Henry Paulson, then treasury secretary, demonstrate the strength of cooperative leadership, which underlines the importance of teamwork. 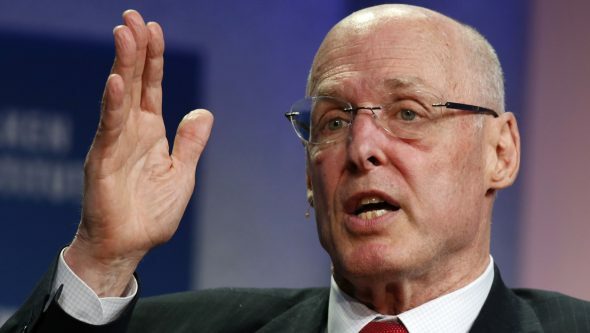 Take Hank Paulson as example, at that critical moment, Paulson had become the de facto leader of the country during the financial crisis. How could he use his leadership to lead the country walk out of the quagmire? How does he convince the people trust his leadership? 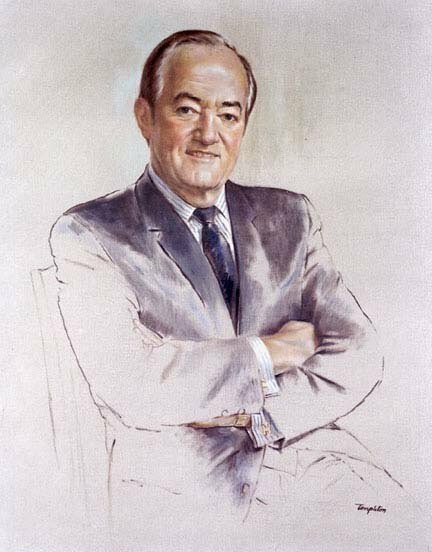 Paulson’s answer is working with people who have complementary skill and who can compensate for individual weaknesses. “Leadership is working on common ground and listening to other people,” Paulson said. In his opinion, some situation like financial crisis requires leaders to be flexible and open to change. In addition to Paulson’s case, other leaders’ success also prove the better leadership should rely on teamwork and cooperation. For example, Angela Merkel uses her strong cooperative and pragmatic leadership to unify the European countries together. As we can see, cooperative leadership is at the top of the leadership level. The great leadership is built on solid teamwork featuring by strong cooperation and effective communication rather than charismatic dictatorship and individualistic heroism. 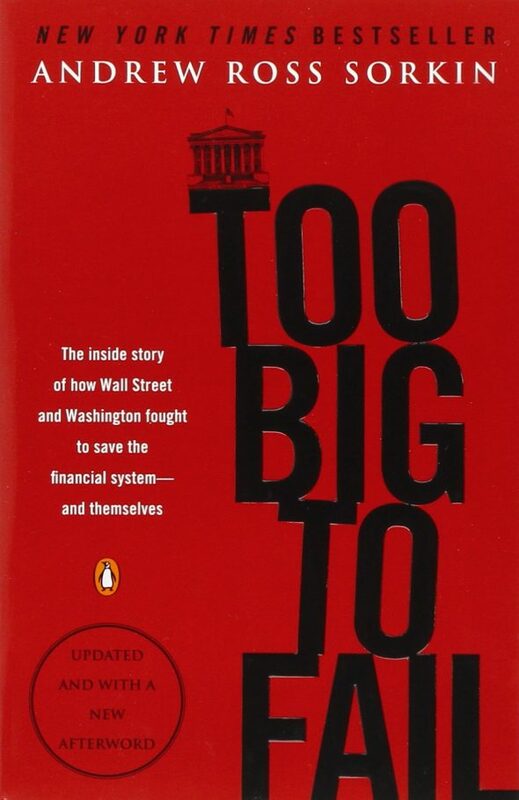 More importantly, for leadership, there is no such a theory of too big to fail. Charismatic leadership cannot maintain its dominance forever, but the team will carry on. Written by: xwang537 on December 3, 2017.